Prince William and his wife Kate Middleton's newborn son will be known as His Royal Highness Prince Louis of Cambridge. 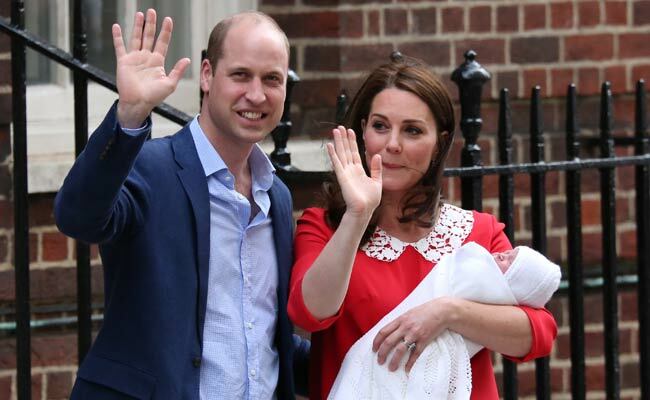 London: Britain's Prince William and his wife Kate named their newborn son Louis Arthur Charles. "The baby will be known as His Royal Highness Prince Louis of Cambridge," Kensington Palace said. The prince, who is fifth in line to the British throne, was born at 1001 GMT on April 23. He weighed 8 lbs 7oz at birth.